Usually simple quilts with a limited palette are my bag (have you seen Elizabeth Hartman’s Preppy Knee Socks? Gorgeous), but this week I really enjoyed looking at colorful quilts. The more color the better. A little while ago I discovered the Flickr group Fresh Modern Quilts, and yesterday this rainbow back caught my eye. I’m also excited to see my friend Ashley’s bright patchwork come together. Yesterday I took the kiddos on a photo shoot at the Eagle Rock reservation in West Orange. 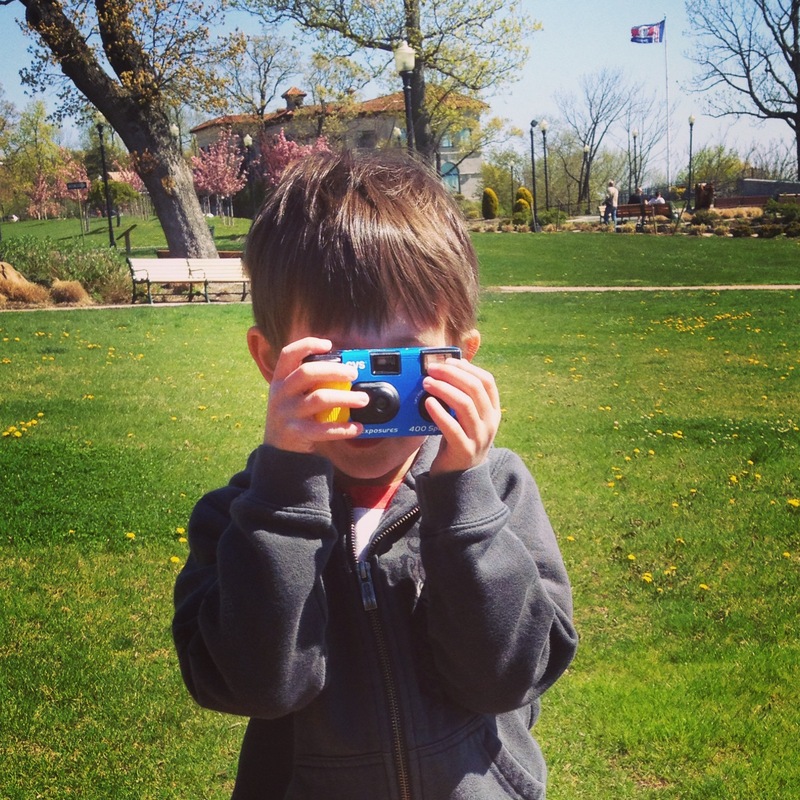 The four-year-old had found an old disposable camera with actual film in it, so we talked about photography, color, framing and patience. It was pretty awesome. And his pictures came out great! Unfortunately, I haven’t scanned the prints. He’s really proud of them, and I’m proud of him. But I wish his favorite wasn’t a close-up of my dirty baggy jeans. I didn’t listen to much music this week. I listened to podcasts while quilting. But this gem popped up on shuffle in the car and seems appropriate for a week of colorful quilts. I’m a bit of a Muppet nut (our dog is named Gonzo, after all). Enjoy the weekend!